I recently purchased an old manual Vivitar Lense (10$!) to play with and cannot identify the mount. I just hacked a plastic body cap and put it on my Canon 450D (EF mount) and cannot get infinity focus nor can I focus farther then about 30 feet. 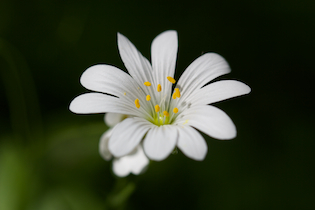 This tells me that my cheapo adapter (about 5mm thick) puts the lens too far out. 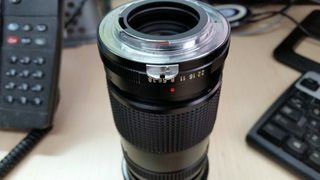 Identifying the actual mount of the lens would allow me to know the precise flange focal distance and go on from there. The meter coupling prong is a dead giveaway that it is a Nikon F mount "A" (Pre-AI or non-AI) lens. Your serial number indicates it is a Version 6. 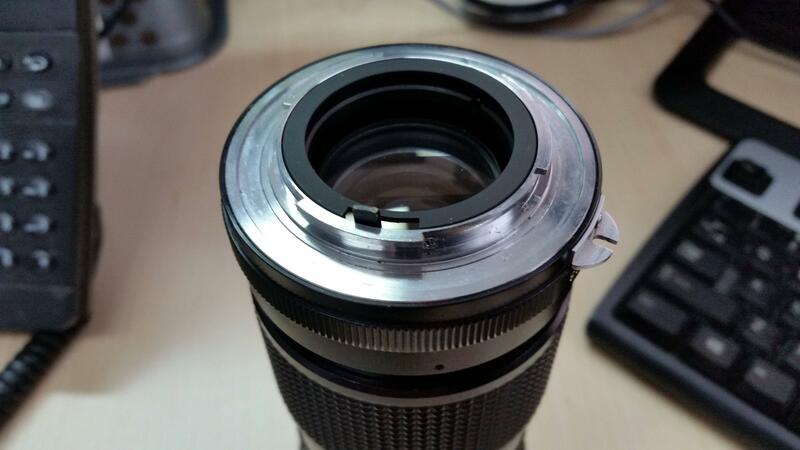 All of the Version 6 examples were fixed mounts, so no T-mount adapters for this lens. Earlier versions that had a T-mount that could be used with adapters were Version 1 (1966), Version 2 (1966-67), Version 3 (1968-69), and Version 4 (1969-70). Versions 1-4 were also available with Auto fixed mounts, and the Version 4 Auto Fixed Mount was made through around 1973. No Vivitar 85-205mm f/3.8 lenses were made with the T-mount after 1970. Version 6 was produced from 1975-77 and went out of production before Nikon introduced the AI series of lenses in 1979. 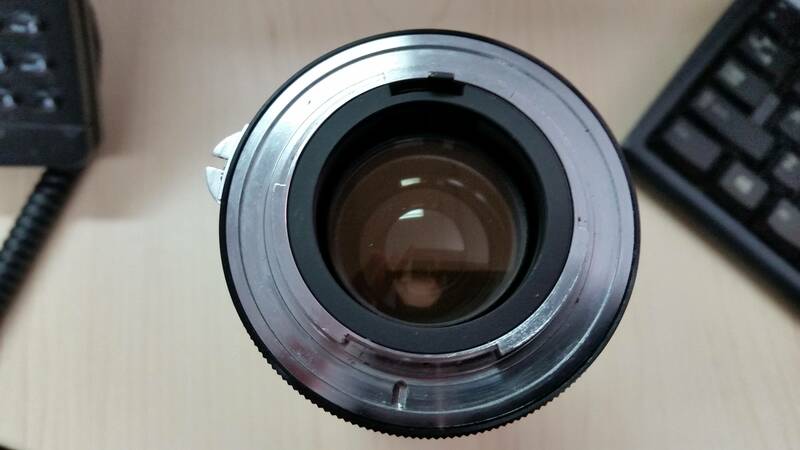 The AI and later types of Nikon F mount lenses do not have an external coupling prong. Looks like an older Nikon AI mount. It may have a removable Vivitar T mount where you can swap out the Nikon mount for a Canon one, but I can't tell from the photo. Not the answer you're looking for? Browse other questions tagged lens-mount equipment-identification vivitar or ask your own question. 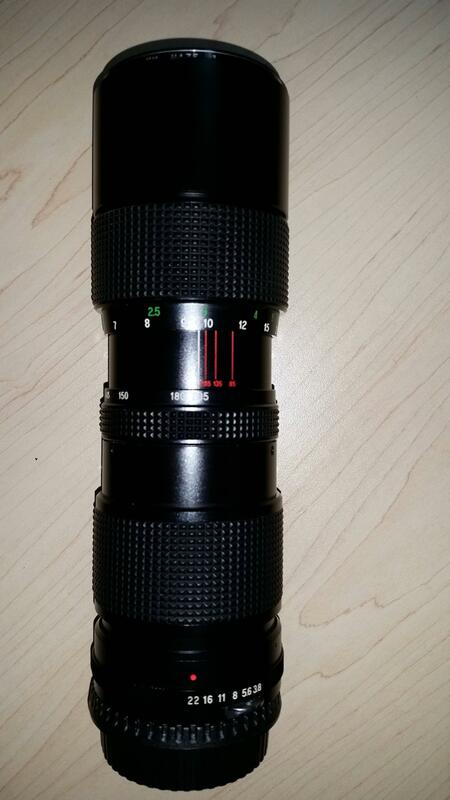 Would this Vivitar 75-205mm 1:3.8 macro lens fit on Nikon D610 dslr?